Love to explore? There are plenty of things to do at Sky Crossing. Residents can enjoy the great outdoors and the beauty of the Sonoran Desert at Cave Buttes Recreation Area and Phoenix Sonoran Preserve. Love boating? Get out on the lake at Lake Pleasant Regional Park, one of Arizona’s most scenic water recreation areas with camping, boating, fishing, swimming, hiking, picnicking and more. Sports enthusiasts will love the location. At Sky Crossing it’s easy to indulge in some of Arizona’s most prestigious events, including the Phoenix Open Golf Tournament, the Barrett Jackson Auto Auction, Cactus League Major League Baseball and more.Best Shopping in North Phoenix Sky Crossing Residents will find a multitude of shopping and dining options nearby with The Outlets at Anthem to the north and Desert Ridge Marketplace to the east. 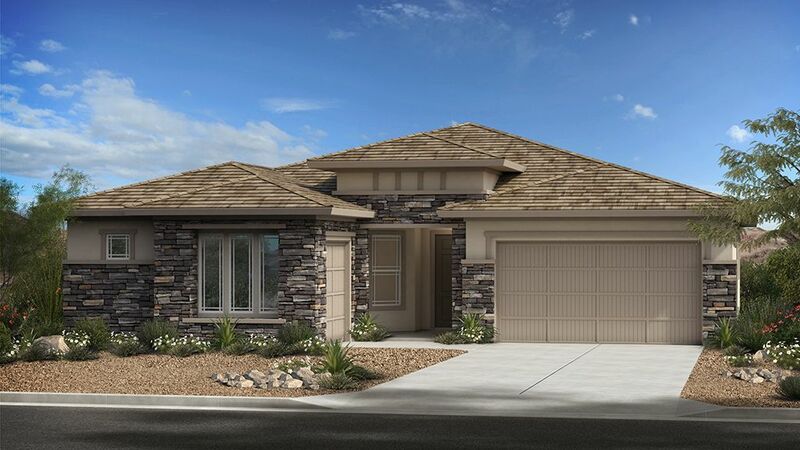 The community is also an easy distance from premiere shopping and dining destinations at Kierland Commons and the Scottsdale Quarter.Schools at Sky Crossing in North Phoenix Sky Crossing offers exceptional schools in the Paradise Valley Unified School District. Students at Sky Crossing can attend Wildfire Elementary School, Explorer Middle School and Pinnacle High School.Employment Centers near North Phoenix Located just off of Loop 101 at 32nd Street, Sky Crossing provides easy access to major employment centers in Downtown Phoenix, the West Valley and Scottsdale.New Homes for Sale in Phoenix Taylor Morrison's Sky Crossing community offers a vibrant lifestyle with a selection of masterfully designed homes. For updates and information about Sky Crossing, join our VIP interest list today or call 480-346-1738. Pay Less For 2 Years On Your New Home In Sky Crossing With Our 2-1 Buydown OfferGo ahead and start packing your boxes.